Our vision is to address behavioral health related needs in the community by establishing evidenced–based model programs in partnership with other community agencies. 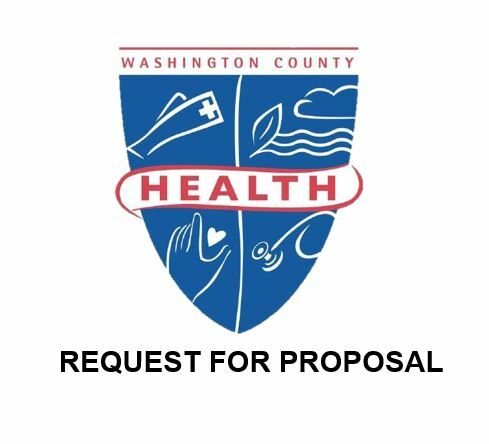 The Washington County Health Department Division of Behavioral Health Services will provide an integrated comprehensive continuum of prevention and treatment services to all persons affected by behavioral health issues. Each person served will be treated with compassion and respect, creating an environment that supports growth as they strive to improve their lives and the community. The work environment in which these services are provided will encourage professional growth and teamwork, challenging each employee to provide the highest quality services possible. The quality of care provided to community members who seek the services of the Division. The growth and professional development of our staff and maintain an environment conducive to this process. The individuality, uniqueness and cultural diversity of our patients and their families. The Division’s ability to creatively and effectively respond to the needs of the community. Our collaborative relationship with other community agencies. What does the Behavioral Health division do? Community Overdose Response for Direct Services (CORDS) – CORDS is an opioid crisis response team that integrates community services through multi-disciplines to support individuals in accessing treatment services to assist in their recovery. This team consists of a care coordinator, peers support specialists, law enforcement, local medical providers and other treatment services. The team can provide comprehensive care coordination to identify the treatment needs of the person served and holistic approaches that include family members of the person served. Washington County Overdose Fatality Review Team – The Washington County Overdose Fatality Review Team (OFRT) was formed in January 2015, and is currently chaired and coordinated by the Washington County Health Department. The OFRT team conducts confidential reviews of resident drug and alcohol overdose deaths to identify opportunities to improve member agency and system-level operations in a way that will prevent future similar deaths. The Maryland Department of Health (MDH) provides oversight, data, and guidance to local OFRT. Local Addiction Authority (LAA) – The role of the LAA is to oversee on systems development, management and monitoring, along with handling jurisdictional complaints and monitoring contracts with in the public health system. The LAA is also tasked with supporting community providers to maintain capacity and sustain services. Friday: 8.00 a.m. - 4:30 p.m.